My Book is Officially OUT! I have a few more dates to add/confirm but… as for now, here are some books events I will be at. My SHOWS page on my website will be updated frequently. 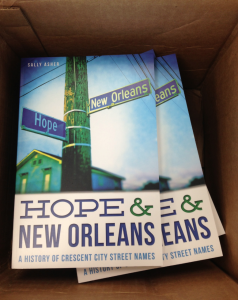 Wednesday, March 26th: Lecture and book signing of Hope and New Orleans: A History of Crescent City Street Names at Garden District Book Shop. 2727 Prytania Street. 6pm to 730pm. 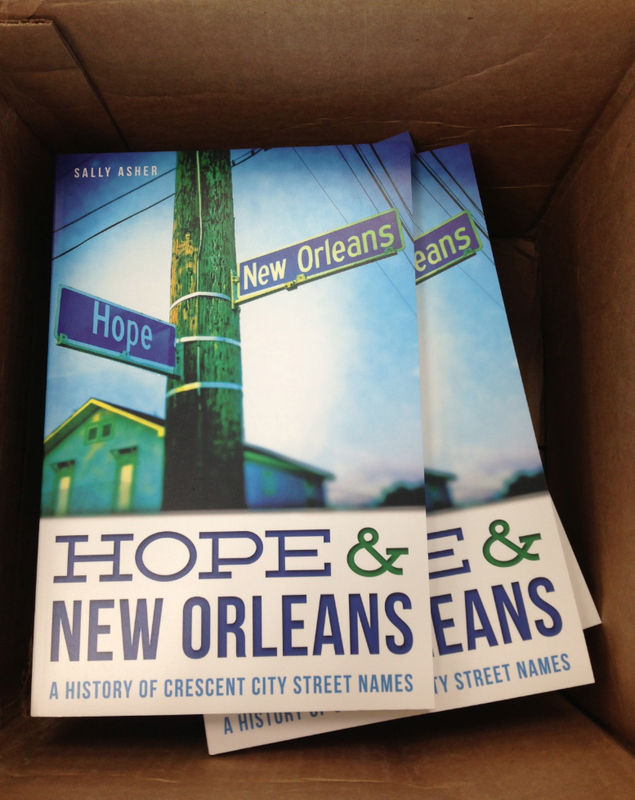 Friday, April 4, 20014: Private Book Release Party of Hope and New Orleans: A History of Crescent City Street Names. Saturday, April 5, 2014: Freret Street Festival. 11pm to 7pm. Located on Freret Street between Napoleon and Jefferson Avenues. Books and art for sale! Thursday, April 24, 2014: Lecture and book signing of Hope and New Orleans: A History of Crescent City Street Names at Maple Street Book Shop. 7523 Maple Street. 6pm to 7:30pm. Tuesday, April 29, 2014: Lecture and book signing of Hope and New Orleans: A History of Crescent City Street Names at Tulane University Bookstore. 31 McAlister Drive (on campus). Noon to 1pm. This entry was posted in History, Hope and New Orleans, New Orleans, Photography, Research and tagged book, events, ferret street festival, garden district book shop, history, hope and new orleans, maple street book shop, New Orleans, Photography, research, street signs, tulane. Bookmark the permalink.